Spiced fruit, or “Achcharu” as Sri Lankans call it, is a popular street food in Sri Lanka. Pineapple, Mango, Ambaralla, Veralu (Sri Lankan olive), Guava and many other fruits can be used to make Achcharu, with some spices added. There are so many Achcharu vendors in Sri Lanka; they dice fruits and add chili, salt and sugar mixture into diced fruit and within seconds you could buy a bag of ‘Achcharu’ for a few rupees. Galle Face is a good destination to look for street food including Achcharu in Colombo, but it’s not limited to one place. Move down to Pettah and you will notice all kinds of street food there. Pettah is a busy place and people who go there usually have no time for a sit-down meal. The only option is grabbing something from the nearest vendor while rushing for their tasks. 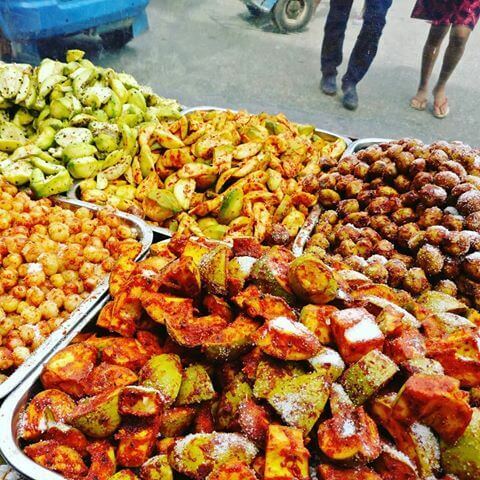 In Pettah, you will pass by vendors selling everything from spicy Achcharu to various snacks. The Achcharu Kadé which operates at the Good Market on Saturdays, is another great place to try superbly spicy and tasty achcharu. They sell about 10 varieties and the stall is very popular. 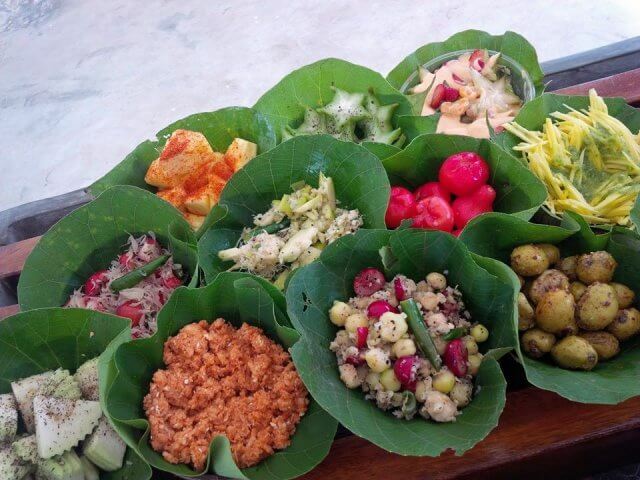 Many restaurants in Colombo offer achcharu for foreign visitors to be able to fully experience Sri Lankan cuisine. Call and check in advance so as to not miss out on this delicacy.